For rollable graphics requiring protection and added rigidity. An economical alternative to polycarbonate overlaminates. Easy to trim, roll and pack. Coated with a high performance solvent acrylic adhesive and backed with a 2 mil film release liner. Perfect for banner stand applications, when printed on our Instant Dry White Film. 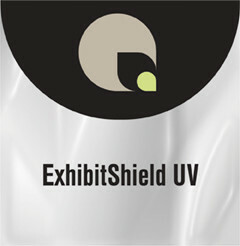 For pop-up panels, print on Universal Display Film. For solvent printers, print on DuraSol Display Film. Available in 5/10/15 mil thicknesses.